Up to $5200 Sign on Bonus!! Professional Auto and Light Truck service facility searching for Professional ASE Certified Career Minded Automotive Technician. Job Duties include but not limited to all vehicle systems Diagnostics, Maintenance, and Repairs with customer satisfaction and quality of work 1st. Involves cleaning, lifting heavy parts and tools, Maryland State Inspections, performing Vehicle Courtesy Inspections per OEM and Motorist Assurance Guidelines properly following Diagnostics and Repair information using Mitchell On Demand, Direct Hit and other Company resources. 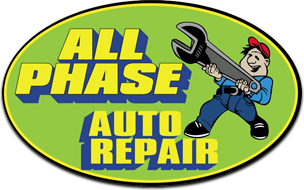 Clean shop, new equipment, busy and always growing, AAA approved Auto Care Facility, NAPA Auto Care Facility, Emissions Certified Repair, and Maryland State Inspection Facility. Pay based on current ASE’S, Automotive Technician experience, production speeds and tech abilities up to $33 per hr. 5 Day work week 401K, Health Benefits, paid holidays, and vacation.